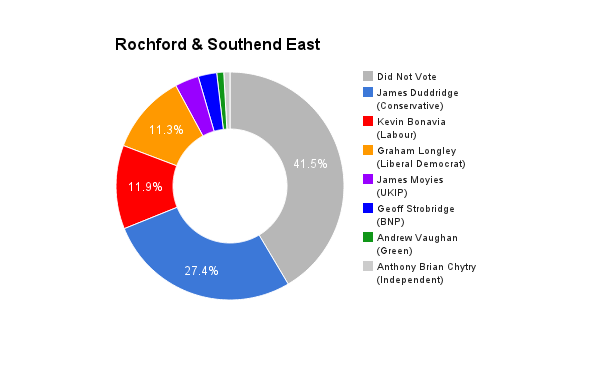 Rochford & Southend East is a constituency in Essex. The seat was created in 1997. The current member of parliament is the Conservative Party’s James Duddridge who has represented the constituents since 2005. I will, whether elected or not, be a constant presence in my constituency. I support all voters and look forward to representing them. In office would make solving their issues easier but as a lifelong activist I will fight for the rights of my community. I live in the community I hope to represent and feel that we need a better deal for all of society rather than a privileged few. 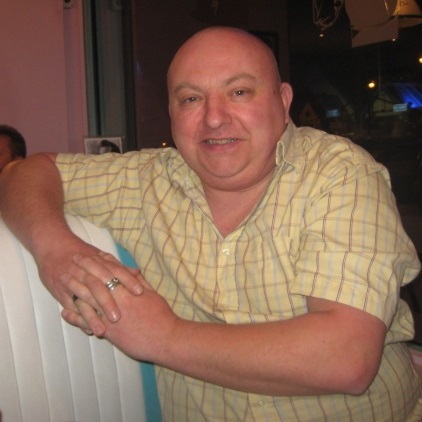 I look at every person as an individual and abhor the marginalisation of anyone. I care deeply for the people around me and my politics are backed by my conviction to change things for the better. I do not feel that I know sufficient about any areas where our current MP has been successful and I have often felt that it was difficult to get him to represent my views on a number of subjects in parliament. Rather than expressing disappointment in the incumbent I would rather say that I would endeavour to represent the view of the greater number of my constituents rather than pursue my personal or party agenda. Austerity has failed, it has left working families, pensioners, those with handicaps and children in a desperate position. The banks and tax dodgers have put us in this position whilst amassing exceptional wealth. This is a failed government and it is now time to collect the unpaid taxes and the money lent in good faith to the banks and to invest in our people and services to create a fairer Britain. It is wrong that there is such disgraceful poverty in the 6th wealthiest nation on earth. Immigration is generally good for Britain as it generates a great return for our economy and some of our key services (eg. The NHS) would fail without it. The distraction created by the right wing parties that everything is caused by immigrants has allowed the government to excuse the worst behaviour I have ever seen from our elected employees. Time to stop blaming and start rebuilding our communities. It is important to stop the top 5% hovering up all the wealth. Any sensible economy realises that consumerism fails when you run short of consumers. It is distressing that sources like The Joseph Rowntree Foundation now suggest that we are experiencing post war levels of poverty and I am personally disgusted at the levels of food and fuel poverty. It is ruining the childhoods of our young people and driving up rates of depression. The NHS requires at least £8 billion of new funding (according to The Kings Fund) to correct the mistakes made by not factoring in the needs of an ageing population. There needs to be a real investment in training Doctors and Nurses for the future. This cannot be done under the constant threat of privatisation. As with many services such as transport and energy, the NHS requires a covenant which will ensure that no part of it is ever run for profit and the NHS requires a full review of staffing and funding. It is imperative that we ensure that training, apprenticeships and real jobs are created to give young people a chance and something to aim for. Proper jobs mean proper salaries. It has to be a priority of our society that, rather than extending people’s working lives into their 70’s when they have ‘done their bit’ that we create and enjoy opportunities for our 16 to 25 year olds. Creation of these jobs may come via Green technologies, construction of new homes (allowing increased apprenticeships in trades) and encouragement to small businesses to recruit via tax breaks and lower rents for new and smaller businesses together with recruitment in the public sector. Lack of diversity coupled with the disgraceful FPTP system and a lack of political education in schools has turned our democracy into a public schoolboys club. There are far too few women, persons from ethnic backgrounds and LGBT representatives in Parliament and the young are the most under-represented group of all. We need PR, lowering of the voting age to 16 and education on politics in schools to redress the balance. I would encourage my local electorate to vote to stay in the EU because our net benefit is being constantly understated by those who do not understand international trade (like the ukip). It would require a proviso that the EU underwent major reform and made efficiency savings to ensure that it does not remain the gravy train it currently is and there would have to be a lot more transparency in their decision making together with the return of the veto which was so cheaply surrendered. The EU has to be made aware that it needs us more than we need it but I generally believe in the principles of a genuine union of the EU states to provide strength in numbers.